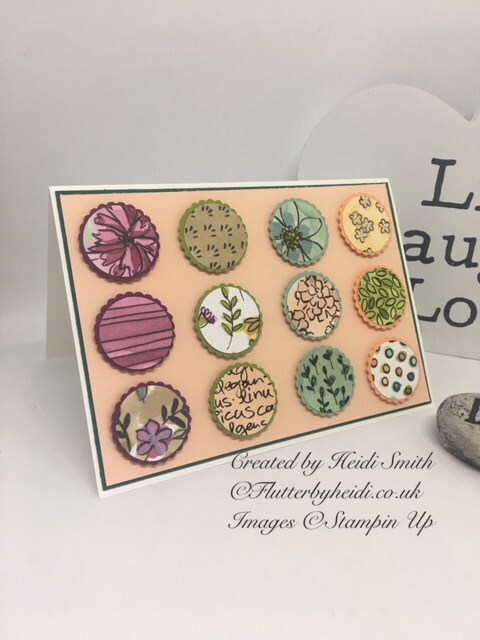 Something a little different from me today - some lovely projects, not made by me, but by some of my fabulous sister stampers. A few of these crafters have been sharing each other's projects for a few weeks now and I am delighted to have invited to join in the fun. So without further ado here are my favourite projects from this week. First up is Amanda, otherwise known as "Scrimping Mommy". Amanda has made these pretty pizza boxes. I just love the colours she has chosen. They also show off so well how easy it is to make projects look professional because everything coordinates so well. See how she made these by clicking HERE or on the image. Next up is the lovely Verity, who goes under the name of "Inky Butterfly". Like me, Verity is a new face in this group. Her project uses one of my favourite sets from the new catalogue - Abstract Impressions. Again, great use of colours and love that embossed background! See more details of Verity's project by clicking HERE or on the image. And lastly for today is Heidi, who is known as "FlutterByHeidi". 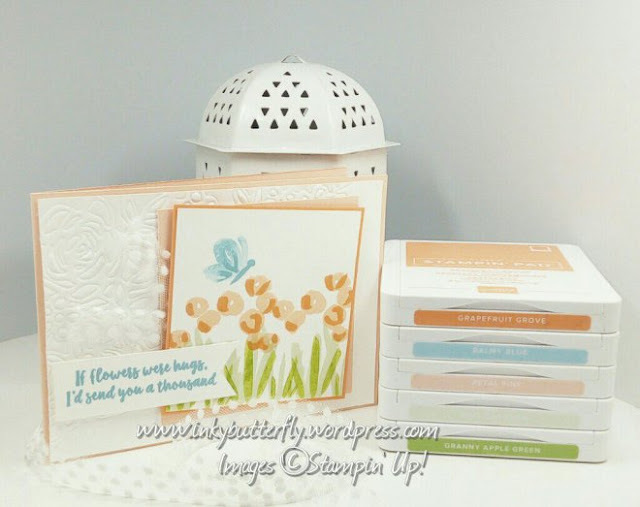 Heidi's project shows a really clever way to make a pretty card using small scraps of paper. I am definitely going to make my own version of this - I can never bear to throw away even tiny pieces of our pretty papers! You can see more details about Heidi's card by clicking HERE or on the image. Hope you enjoyed seeing these projects. Of course, all the products used in them are available in my online shop. I've popped some of the product links down below as well. I'll be back next Thursday with another instalment of "The Project Share Project", but before that will be participating in the 2nd ever Pootlers Video Hop - why not sign up for email notifications so that you never miss a post? All the products used to make this project are all available from my online shop. Simply click "Shop Now" button on the top of this page or click any of the images below to go direct to that item in my online Stampin’ Up! shop. If you order from my online shop please use my monthly shopping code (below) to receive a free thank you gift from me as I really appreciate your business.